Does the idea of being able to minimize Firefox to the System Tray instead of the Taskbar sound appealing? If so, then see just how easy it is to set up with the MinimizeToTray Revived extension. 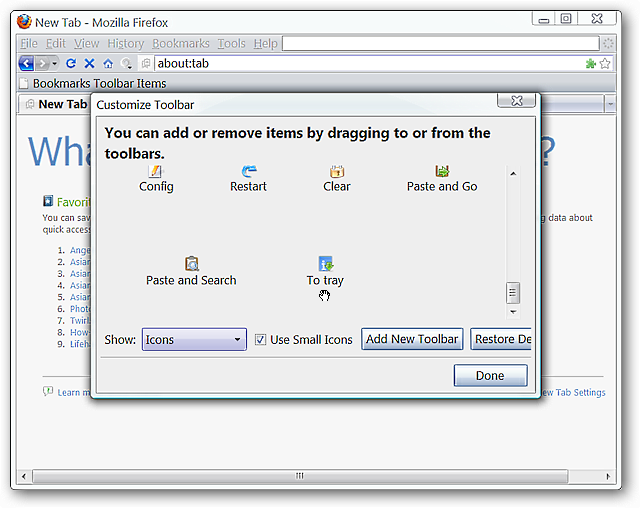 Note: The MinimizeToTray Revived extension works with Firefox (3.0 – 3.5. *), Thunderbird (3.0. *), Flock (2.0), and Songbird (0.7 – 1.2.*). 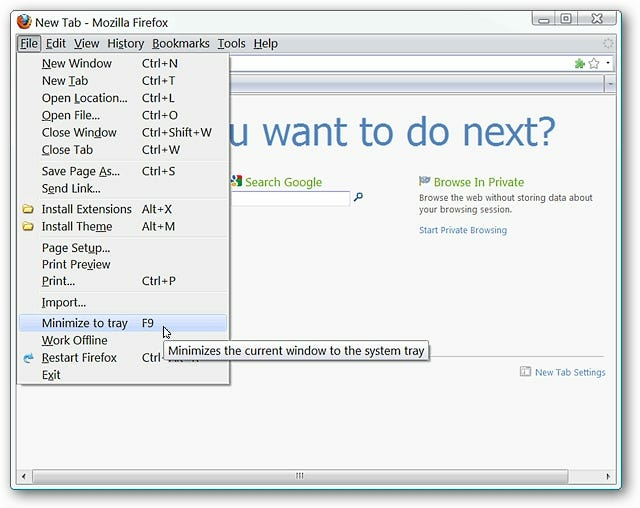 Once you have the extension installed you have three ways to minimize Firefox to the “System Tray”. The first is using the “File Menu” and selecting the “Minimize to tray” command. The second is by using the “F9 Key”. Prefer to use a button instead? Just access the “Customize Toolbar Window” and place the toolbar button in the location that best suits your personal preferences. One click goodness for minimizing Firefox to the “System Tray”. 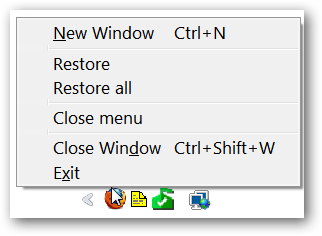 Once Firefox has been minimized, this is what the “Right Click Menu” looks like for the “System Tray Icon”. 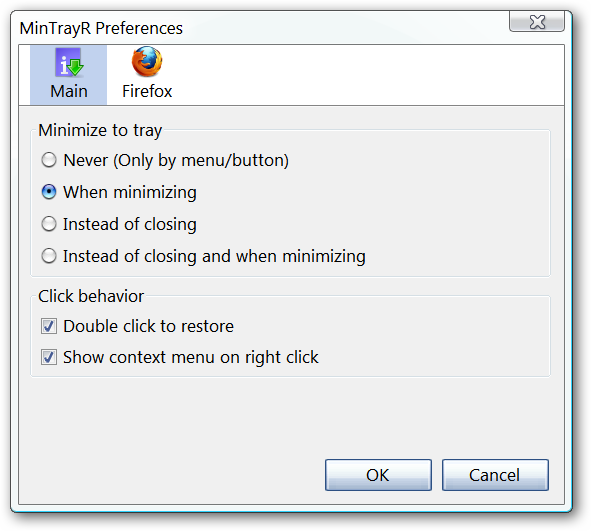 Determine “Minimize To Tray Behavior & Click Behavior” in the “Main Preferences Area”. 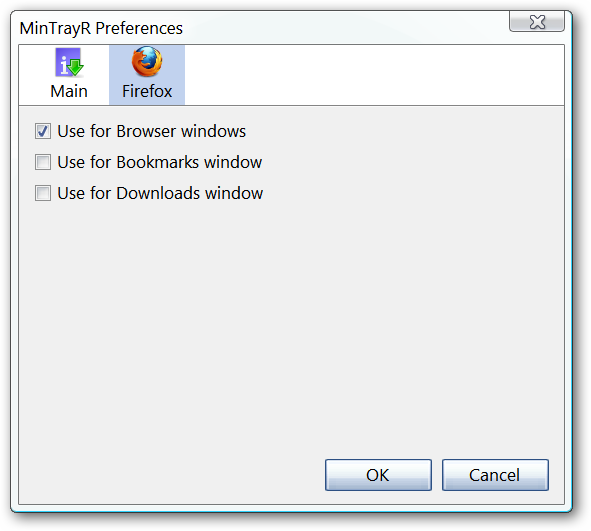 Choose which Firefox windows are minimized to the “System Tray” in the “Firefox Preferences Area”. 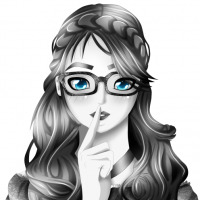 If you love keeping your Taskbar clear of programs in favor of the System Tray, then the MinimizeToTray Revived extension will be a welcome addition to your Firefox Browser or Mozilla-based app.